Roger is the Managing Director of the Stow Healthcare Group. Roger holds an MBA with a concentration in Finance, an MSc and PPGD in Marketing and is a Chartered Marketer with the Chartered Institute of Marketing. 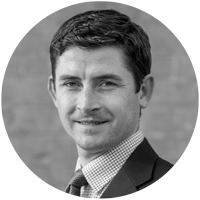 Roger has a background in residential and mixed-use property development, marketing and finance having worked for two of the UK’s leading residential developers. Roger founded Stow Healthcare in 2010 and led the acquisitions of Stowlangtoft Hall, Brandon Park, Ford Place and Melford Court care home.